Premiere: 2013-09-25 – Berlin, Germany – Heather Roche, clarinet. 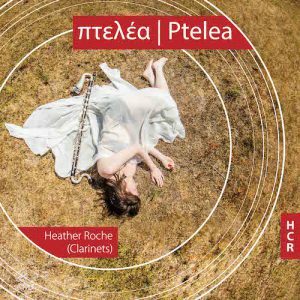 Recording: Heather Roche (2015) Ptelea. Huddersfield Contemporary Recordings. *Not yet premiered. Interested in programming the world premiere? Get in touch. To be premiered by Phidias Trio in Tokyo in 2019. Commissioned by Decibel New Music for their Electronic Concerto project at THNMF 2017. Commissioned by Ensemble Interface for their 2015 UK Tour. Premiere: 2015-11-17 – International Anthony Burgess Foundation, Manchester, UK – Diego Castro Magas, guitar & ensemble interface. Premiere: 2015-06-06 – Riot Ensemble’s portfolio concert, London, UK – Heather Roche, b.cl, Marco Fusi, vla. d’amore, Rafal Luc, accordion. Premiere: 2014-04-11 – ANODE Festival, New Orleans, USA – Amanda DeBoer, sopr. Shanna Gutierrez, fl. Jesse Langen, e-gtr. Premiere: 2004-06-01 – Centro de Extensión PUC, Santiago, Chile. TLT-MZK (2014) at the exhibition room of the Austrian Federal Chancellery (BKA) in Vienna.